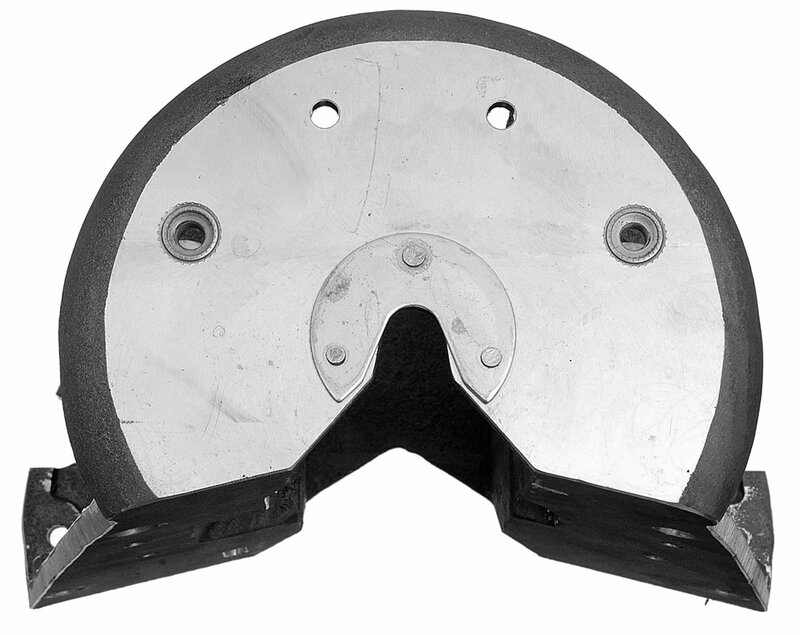 The Model C2 Cable Lasher (71422) is the perfect tool for lashing smaller diameter aerial cables to a supporting strand with stainless steel lashing wire. An upgrade to the original C lasher in practically every way, the C2 is equally suited for new construction or overlash work. The C2 has a bundle capacity up to 1-7/8 inches, running on strand sizes ranging from 1/4 in. diameter to 3/8 in. diameter. It has more than enough machine for most any lashing job, especially in a world using so much fiber optic cable. 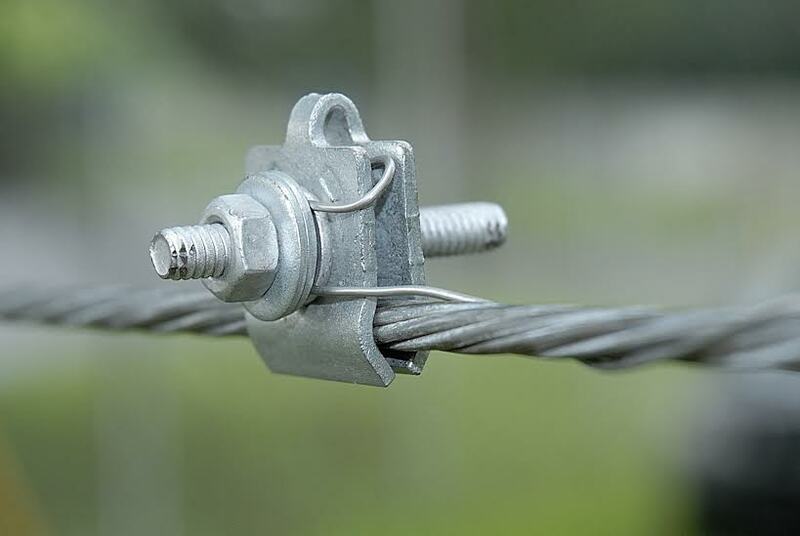 Similar to GMP’s J2 Cable Lasher, the C2 has two locations for lashing wire storage. This allows for dual lashing, which we recommend each and every time you lash. It’s always worth having that extra redundancy to help make sure the cable is safe and secure. Perhaps the C2’s greatest value is just how lightweight and compact it is. Compared to the other lashers that GMP has available, the C2 is incredibly easy to move around the job site. 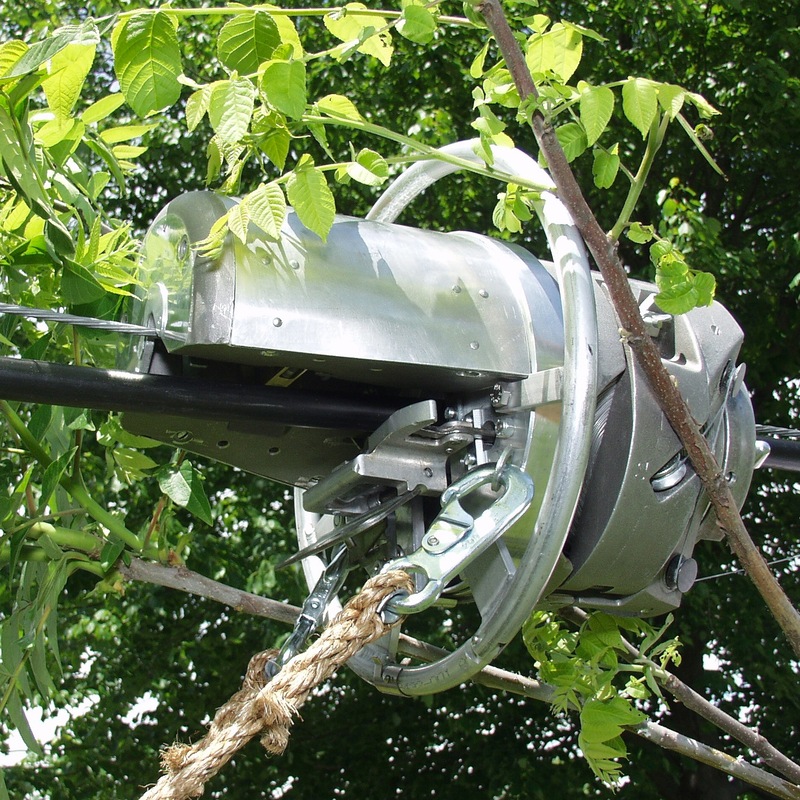 It is also furnished with a 6 ft. (1.6m) bridle rope with snap hooks and an instruction manual. Additionally, the C2 Lasher is designed with a standard removable front handle (28142). When removed, a generous 2-1/16 in. (52 mm) opening allows for smooth overlashing to an existing bundle. 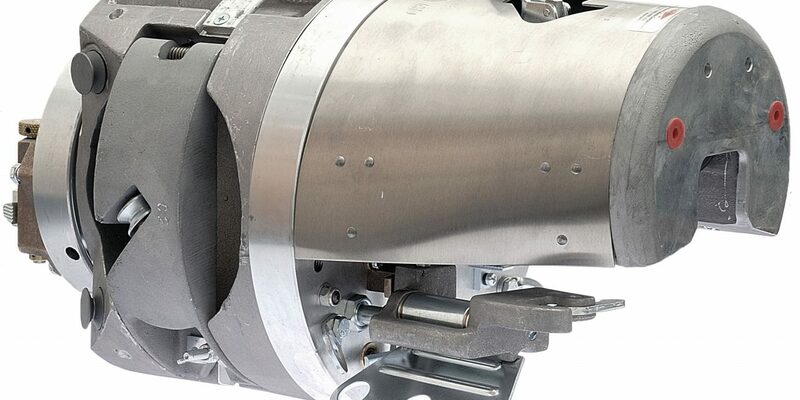 An optional overlash handle (28120) is also available and can be attached to the front of the machine without interference with the opening when overlashing. You can also purchase a Lasher Guard “Halo” (70011), which helps keep tree branches out of the way when lashing through trees. 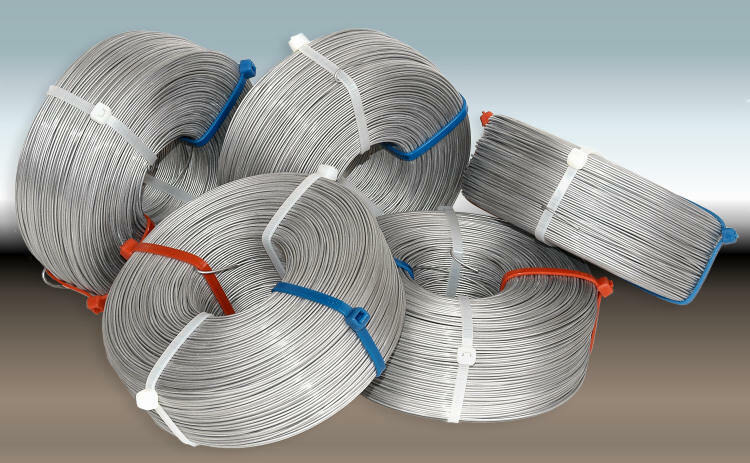 If you’re also interested in buying stainless steel lashing wire to use with the lasher, check out all of the types of stainless steel lashing wire that we have available here. Like all GMP lashers, the C2 is built to last for many years of service. Components are CNC machined from alloy steel, stainless, bronze, and aluminum castings to exacting tolerances. Every component is also treated to resist corrosion. 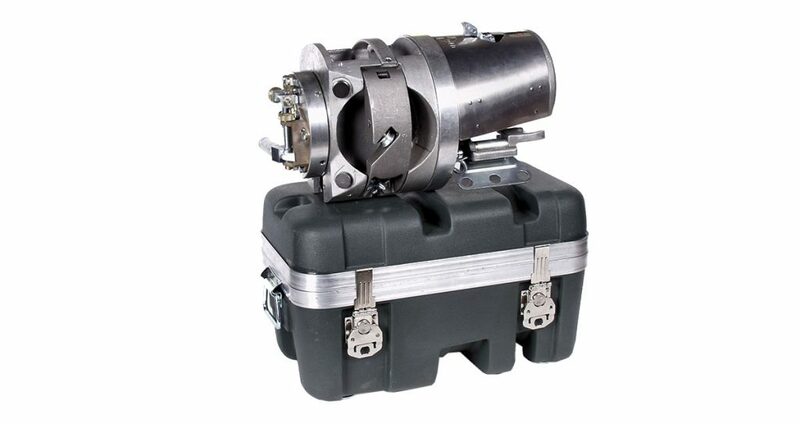 Gear drives and sealed bearings assure maximum durability with minimal maintenance. When the time comes for service, the C2 Lasher can be repaired at our factory and will be repaired to “good as new” specifications. Find more information on the lasher repair process here. Since 1936, General Machine Products has been a leader in supplying the telecom industry. Visit us today at www.gmptools.com or call us at 215-357-5500 to learn more about our product offerings.